BookALimo provides Sydney Airport pickup services in a chauffeur driven luxurious limousines and cars. At BookALimo you can get an instant quote and book online. Our Airport services are very affordable - all the while travelling in comfort and style. Call us on 1300 130 337 and get your door-to-door airport pick up in Sydney. Arrive relaxed, on-time and instyle! Our Melbourne Airport Pickup Service have earned a reputation for exceptional customer service, always arriving on time to collect and drop off passengers travelling to and from their Melbourne Airport. We always strive to meet and exceed customers' expectations by providing an unbeatably friendly and efficient airport taxi service. Customers are driven to the airport in safe, stylish cars by a courteous driver who will get them to their destination on time.As a well-established Melbourne Airport Pickup company, we cover all of the major airports in Melbourne and can cater for both private and business customers. Choosing the right Adelaide Airport Pickup Service will ensure that passengers can arrive on time to check in for their flight and avoid the stress and hassle that comes with using their own car. Additionally, using one's own car also comes with the expense of paying for either short or long-term parking, which can add up to a costly sum very quickly. We are available 24X7 for pickup service at Adleaide airport. We are also able to pick up passengers from virtually any of the city's train junctions and stations, their home address or other location. If you are new in Canberra and worry that how you will arrive at your destination at time, so better to use Canberra Airport Pickup Service. We will pick you up and drop you off at your desired destination in reasonable time as well as they will help you to save your time while traveling on the roads because in peak hours they prefer to choose alternate routes to avoid traffic and other daily issues. At Bookalimo we have all the latest tools and techniques to provide best Canberra Airport Pickup Service in most affordable price as per need and requirement of the clients. 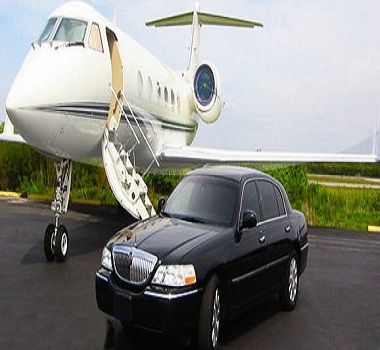 There are many organizations which can provide you Gold Coast Airport Pickup Service, but if you are looking for best traveling experience in the Gold Coast to make your personal or professional trip memorable, so contact and book your Gold Coast Airport Transfer Service with us in reasonable price. If you are planning use Car hire services for Brisbane Airport, so there are many organizations which can offer you their services but for best and most affordable car hire services you can contact us at BookaLimo Sydney. Apart from business meetings our Brisbane Airport Pickup Service will help you to explore the city in unique way while providing all comfort and saving time. Our Brisbane Airport Transfer Service will show you all the premium destinations in city and at the end of the day they will drop you at the airport.